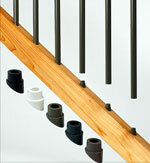 The stair adaptor is used in conjunction with the Designer Baluster Connectors. Designed to work with stair angles between 30-35 degrees and works with both wood and composite materials. 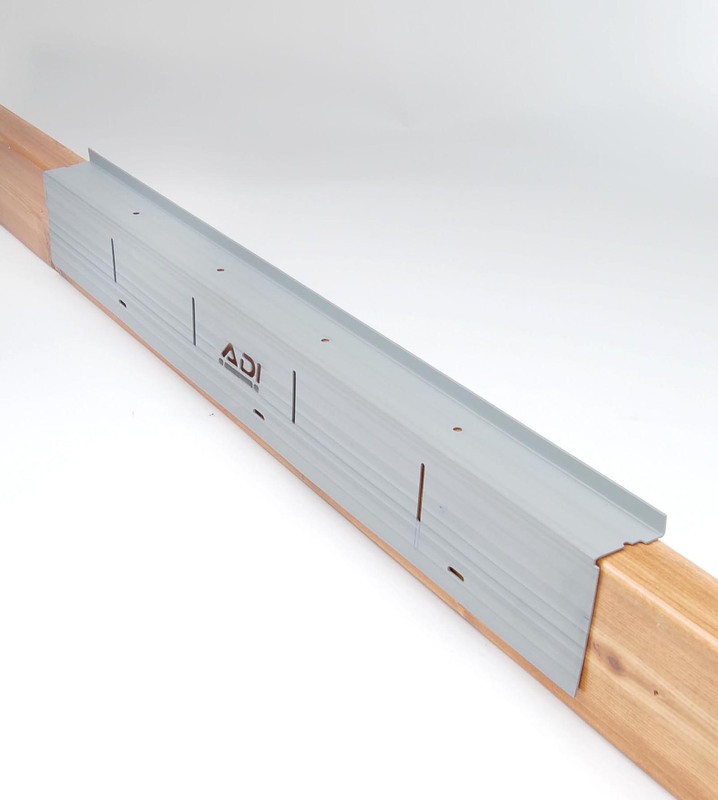 If used, Stair Connectors will add 1.5 inches to the rail height. 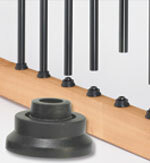 The stair adaptor is used in conjunction with the Estate Square Baluster Connectors. 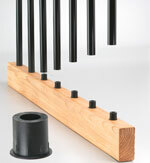 Designed to work with stair angles between 30-35 degrees and works with both wood and composite materials. Available in black or bronze. Works with all types of balusters and connectors. 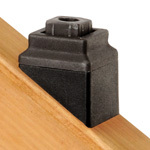 Gives perfect placement for the screw locations for baluster connectors or face mount baluster. 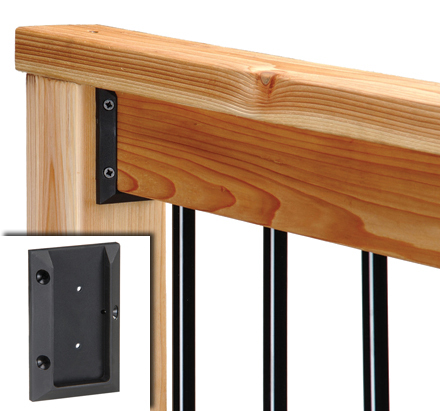 The Railing Connector makes attaching the railings to posts quick and easy. 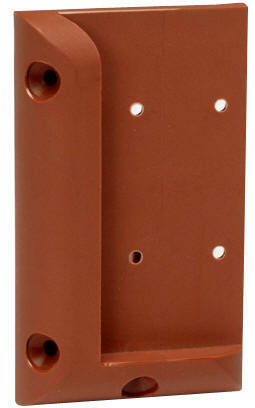 This highly durable plastic is pre-drilled to ensure accurate attachment of the railing to the post. 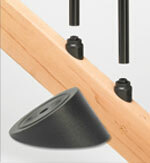 The railing connectors can be used on both wood and composite materials. The Multi-Angle Railing Connector allows for 45 or 22 1/2 Degree angles off deck posts. These are not designed for stair angles. The regular rail connector above will work with stairs.